Bathrooms have come a long way since plumbing moved indoors. The bathroom is not just a functional space; it’s a place to show off your personal style. I am always interested in seeing what direction bathroom design is headed, and what new trends are on the horizon. The shower is one spot in the bathroom that has changed immensely over the years. The basic tub/shower combo is no longer the norm; more and more, homeowners are transforming the shower into a place of relaxation and beauty. We love all the updates and innovations we’re seeing in the shower space, and here we’ve put together some of our favorite shower design ideas. 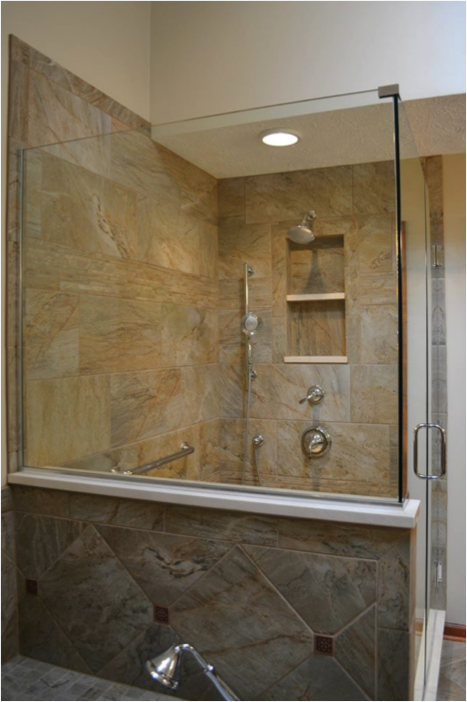 When it comes to shower construction, we’re seeing more and more of our clients opt for single-pane glass, versus frosted glass or a decorative door. Single-pane glass creates a clean line, and allows the shower interior to become part of the room’s design. Speaking of the shower’s interior we’re seeing new things happening there as well. One trend is storage and even seating built right into the walls of the sower. 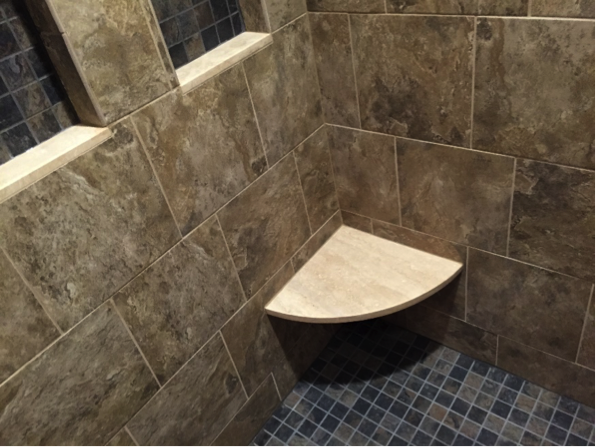 Gone are the days of the shower caddy mounted in the corner; instead homeowners are opting for streamlined, built-in storage, and bench seating. The shower is moving beyond being a place to bathe and becoming a place to relax, and these trends reflect this. 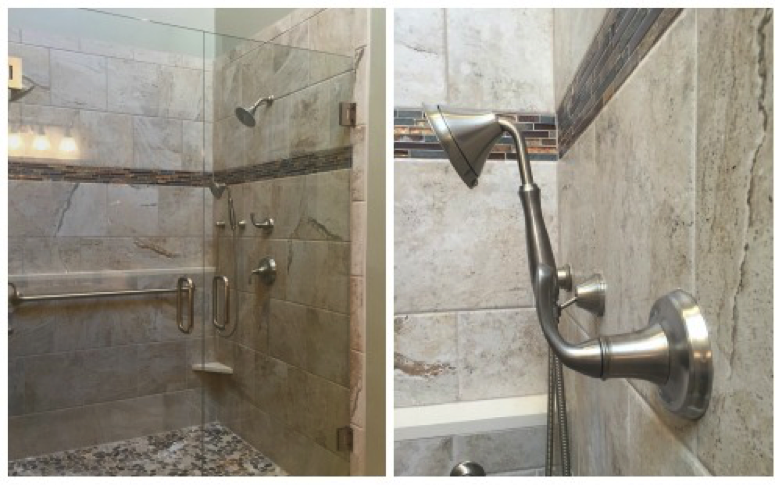 Another trend we’re seeing inside the shower is beautiful tile work. Artistic tile designs aren’t just for your floor; they are adding beauty inside the shower and making the bathroom feel more like a high-end spa. Tile designs range from elaborate to understated, but more and more of our clients are wanting the inside of their shower to be as beautiful as the rest of their space. Is your bathroom in need of an update? Our team can help you incorporate these trends with your personal style to create a bathroom that is fresh and fun. Contact us with your questions, or come by our showroom to see our products and talk with our team. There are only a few days left to take advantage of our special financing offer, so don’t wait – start your project today.